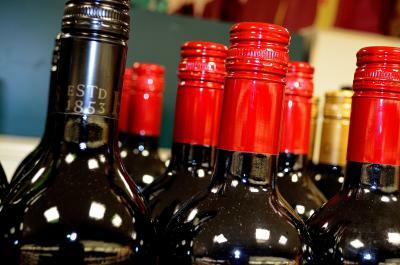 Alcohol Wholesalers now need to be Registered. What Regulatory Disputes and Problems will this cause? How to deal with HMRC. Alcohol traders dealing in wholesale now need to be registered with HM Revenue & Customs. This transformation of the wholesale alcohol industry is brought about by the need to combat inward diversion fraud costing the public purse up to £1.5 billion annually. HMRC are now implementing the Alcohol Wholesalers Registration Scheme (“AWRS”) from April 2017, and the feedback from traders is that of severe disruption and uncertainty within the market place. All existing alcohol traders must have applied for approval by 31 December 2015. All businesses intending to trade within the wholesale alcohol market must obtain approval before making any wholesale supplies. Failure to do so may result in the implementation of significant penalties and you may be deemed to be trading without approval. This article looks at the regulatory disputes and problems that can arise from failure to comply with the new rules and regulations and what trade buyers need to do when dealing with HMRC. The Exchequer loses up to £1.5bn annually to inward diversion fraud. This is essentially the release onto the UK domestic market of duty-unpaid alcohol products. This fraud is widespread and highly organised often involving multiple parts of the supply chain. The difference between duty-paid and duty-unpaid products can be significant. The release of duty-unpaid alcohol products presents a significant price advantage to the fraudster and the illicit profits to be made are large. This trade erodes tax revenues and puts law abiding traders at a huge disadvantage in the market place. It is for this reason that AWRS is being implemented to address this regulatory problem. Those Regulations contain the detail of the approval and registration requirements that are at the heart of the new regime. It is important to note that there are no de minimis limits. Therefore, all business to business vendors of duty-paid alcohol will have to be authorised and registered pursuant to the Scheme. The new regime is not intended to capture sales from retailers to the public. The legislation also provides an ‘incidental sale’ defence for those retailers that have made a wholesale sale without the requisite knowledge or intention. The Application process follows the ‘fit and proper’ test and can be made via the HMRC website. It is thought that up to 20,000 businesses will be affected by this change in the law with severe penalties for breaches. When the Scheme comes into force in April 2017 it will be a criminal offence for a ‘Trade Buyer’ to purchase duty-paid alcohol from unapproved wholesalers. A ‘Trade Buyer’ is ‘someone who purchases alcohol from a wholesaler to either sell on to trade, or to sell to private individuals, i.e. a retailer’. The most obvious point to make is that enhanced due diligence and record keeping will be necessary. Traders must be absolutely sure who they are dealing with and what their status is. HMRC have produced Excise Notice 2002 as a practical guide to the scheme. In the event that an application for approval is rejected, or conditions are attached to any such approval or that penalties are applied, then Traders will have a right to appeal to the First Tier Tax Tribunal. The immediate practical problem for traders is that if an application for registration is refused a trader will have to cease making wholesale supplies immediately. A trading business is effectively dead during the period of time it takes for the Tax Tribunal to determine the matter. It is therefore imperative that advice is sought through the registration application process to ensure that HMRC comply with their obligations. Where HMRC’s decision making processes are defective, Judicial Review proceedings may be available with interim measures such as injunctions to enable to the trader to continue to stay in business pending the determination of the matter by the Tax Tribunal. If you are a trade buyer and you are encountering difficulties understanding or complying with the new rules and regulations, contact us or call us on 0121 200 7040. Our regulatory compliance solicitors will be happy to discuss and advise on your regulatory problems, and the initial conversation is free.